Great Music is just the start, The perfect combination of music lighting and room decoration guarantee's to create a great party atmosphere for your evenings entertainment. Below you can find a short breakdown of the music I can provide and the top of the range lighting and room decoration pieces that are available. Up-lights in action and transforming the room. Add that extra bit of sparkle to your event with LED Up lighting (also known as mood lighting and LED Colour Washes) Ideal for weddings, Party’s, Corporate functions, Product Launches, Theme Nights and all other events. Up lighting can completely transform a room and create a brilliant atmosphere. From a dull dark room or a plain bland looking room to a vibrant, elegant and stylish looking one. Using the latest in LED Technology these units are completely safe and do not omit any heat. Brides say that mood lighting added another level to their event. Uplighters make rooms look warm and inviting, they really set off all the rest of the venue decorations. The LED uplighters are computer controlled so you can choose any colour you wish for your function. We can photograph other aspects of venue decoration and match the colours of the uplighters to suit your choice of colour scheme. As the night goes on and the event continues, we can programme the lights to change to the beat of the music. At your Pre-Event Meeting we will bring along an iPad with a full colour chart. Let one of our lighting technicians choose the colour best suited to your venue. If you really can not decide why not have the lights fading gently from one colour to the next? Note colours will vary depending on the surface to be lit up. 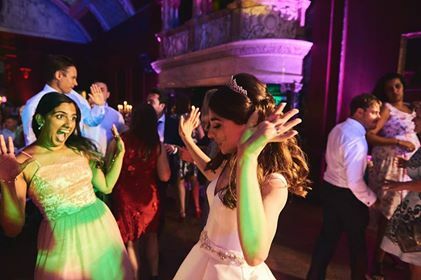 When you book with Cheshire wedding DJ you get access to our unique online planning system. where you can add song requests, create timelines. plus lots more.